The future of the Badlands should be a decision made by the people, not by the oil industry. BCA shares a commonality for the shady draws, scoria buttes, and gumbo flats that center on the heartbeat of the Little Missouri River. BCA is a family, dedicated to the landscape, its native creatures, and each other: a band of kinfolk willing to raise our voices for the well being of those who dare not and those who can not. A citizen proposal for national Wilderness designation on the Dakota Prairie Grasslands, Prairie Legacy Wilderness was released by BCA in 2008. A modest proposal, acreage included the four non-contiguous areas in the Little Missouri National Grassland managed under the 2002 Dakota Prairie Grasslands Land and Resource Management Plan as MA 1.2A – Suitable for Wilderness. Long X Divide, immediately south of the North Unit of Theodore Roosevelt National Park, lies within the northern McKenzie Ranger District. Bullion Butte (on the west side of the Little Missouri River) and its sister Kendley Plateau across the river to the east lie within the southern Medora Ranger District, as does Twin Buttes to the northwest of the South Unit of the Park. Total land area of the four parcels is less than 40,000 acres, or less than 4 percent of the Little Missouri National Grassland. Keeping All the Pieces is an outreach campaign and a 15-minute documentary film that promotes conversations about the public lands of western North Dakota known as the Badlands. The campaign aims to raise awareness about the impacts of oil and gas development while inspiring further self-education and advocacy. The future of the Badlands should be a decision made by the public, not by the oil industry. 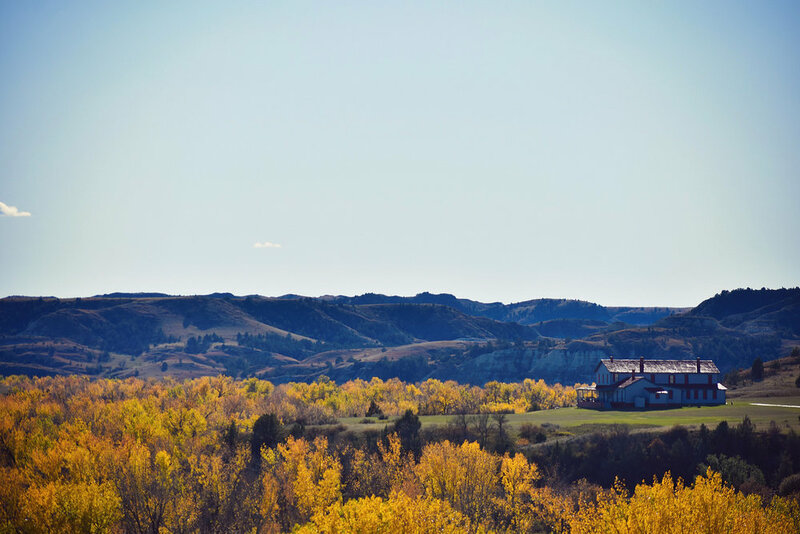 What is the best way for North Dakota to wisely develop our oil and gas resources while maintaining the environmental health of our deeply valued natural and agricultural landscapes? This is the question Keeping All the Pieces seeks to answer by forming a partnership between residents of North Dakota and advocates of conservation and wildlife. You can learn more about each of these topics on our current issues page. Fracking Water Permits. Withdrawal from the Little Missouri State Scenic River. Expansion of HWY 85. A proposed four-lane divided highway through the Little Missouri State Scenic River Valley and trespassing on the North Unit of Theodore Roosevelt National Park. Industrial Park or National Park? Meridian Energy Group is proposing to build a refinery next to Theodore Roosevelt National Park. Billings County Bridge. Proposal near Elkhorn Ranch Unit of Theodore Roosevelt National Park. Explore western North Dakota. Our self-guided Southern Badlands Adventure is a great way to get an overview of the Grassland for both new and return visitors. Join us on a BCA outing. In 2017, we combined issue education with good clean fun by visiting areas like Kendley Plateau and Twin Buttes, both of which are managed as Suitable for Wilderness. We visited the site of proposed new oil and gas development in the southern Badlands, and a proposed river crossing of the Little Missouri State Scenic River. United States Forest Service personnel gave our group a tour to learn about the 5400-acre Magpie wildfire. We hiked, we camped, we howled at the moon! Contact Your Representatives. Tell your Governor, Congressional Delegation and Legislators you want to protect the Badlands for the future. Our voices must be used to be heard! Take a look at our tips for writing your letter. We are the humans who love the landscape from which we came and for which we speak. We embrace the joy in the morning and the grace at nightfall. We are the dreamers of ancient dreams that course through our blood and draw us purposefully toward a future of renewal and restoration. We are the ones that speak for those who carry a voice so powerful yet without words. We laugh in exuberant fullness of life while weeping for that which is unknowingly lost and may never be saved. We are the children birthed from this landscape, called by its mystery and bound by its secrets. If not us, then who? And so we carry on. This year BCA has surpassed a major hurdle. We as an organization have stepped beyond simple identity as one more environmental group and have risen to the status of a go-to source for real information and coordinated institutional memory. Our focus is succinct, and the press has taken notice. Most proudly perhaps is our reputation for persistence and integrity. When BCA speaks, people listen; even those who disagree with us. BCA more and more has the ability to throw those on the other side of our issues off-track with the breadth of our combined knowledge and our ability for fact finding. At the same time, we hold tight to our insistence and willingness for discourse. That is a good thing for conservation in North Dakota.